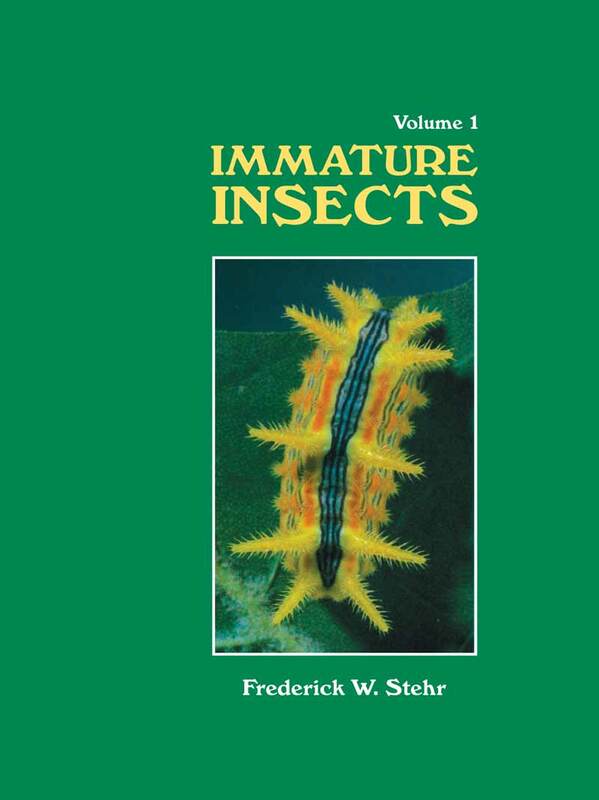 Immature Insects, Volumes 1 and 2, edited by Frederick W. Stehr, are excellent sources of information on the biology and ecology of insect families, making these indispensible textbooks. With abundant illustrations, descriptions, and keys, both volumes are also useful as field guides in identifying many common, economically important, or unusual species. Immature Insects is the only reference that extensively details information necessary to identify immature insects. These books explain the techniques for collecting, rearing, killing, preserving, storing, studying, and shipping insects. Well-illustrated keys are provided for all orders and families. These two voluminous and very important tomes are the successors of an also very crucial work; we are talking about Alvah Peterson’s Insect Larave (Vol. I and II). Stehr´s much expanded work can be considered as bibles to anyone interested in the first stages of all insects. Stehr´s Immature Insects Volumes 1 and 2 come now reinforced by multiple microphotography (absent in Peterson´s books), very clear and easy to use keys that include very useful comments in italics (such as “let´s look twice” or “let´s make sure” etc.) that makes using them very easy, and at the same time helps a lot making them extra useful and extra precise. Immature Insects, Volume 1 covers the following orders: Protura, Collembola, Diplura, Microcoryphia, Thysanura, Ephemeroptera, Odonata, Blattodea, Mantodea Grylloblattodea, Phasmatodea, Orthoptera, Dermaptera, Embiidina, Zoraptera Plecoptera, Psocoptera, Mallophaga, Anoplura, Mecoptera, Trichoptera, Lepidoptera e Hymenoptera. The rest of orders, including the mega diverse Coleptera, are treated in depth in Immature Insects, Volume 2, that has more pages. This is also a fundamental tome, the only one that synthesizes all the data, in an orderly way, being also excellently illustrated in each page that includes keys. These drawings are crucial making the identifying process a more straight forward procedure and also making the use of key a much easier task. Furthermore the volumes include crucial data on collecting methods, preserving, breeding and management of immature insects, larvae and cocoons.